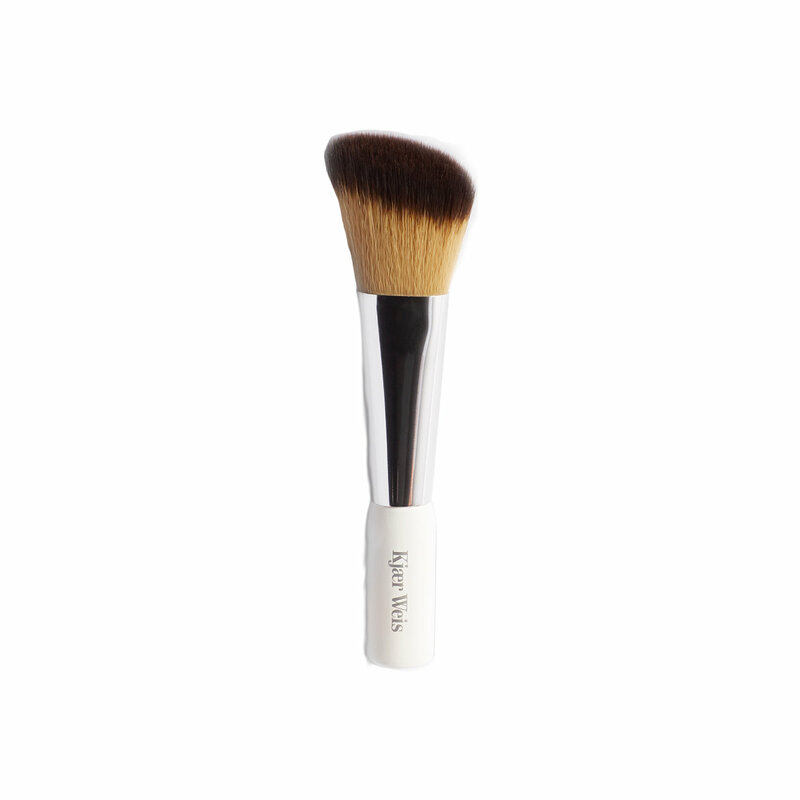 A large, fluffy brush made for powder application. Angled design for maximum coverage control flawlessly blended results. Perfect to use with the Kjaer Weis Pressed Powder. Please clean your brush once a week with lukewarm water. Use a natural brush cleanser or a gentle natural soap or shampoo. Keep water out of brush ferrule. Dry with a paper towel or cloth. Der Pinsel ist vegan und besteht aus dermatologisch getesteten, synthetischen Haaren.